"My work focuses on the exploration of vessel forms through a study of process, materials and colours. I am particularly interested in looking at ways to relate the production of colour and pattern to the construction of my work, developing a vocabulary of surface alteration and form." 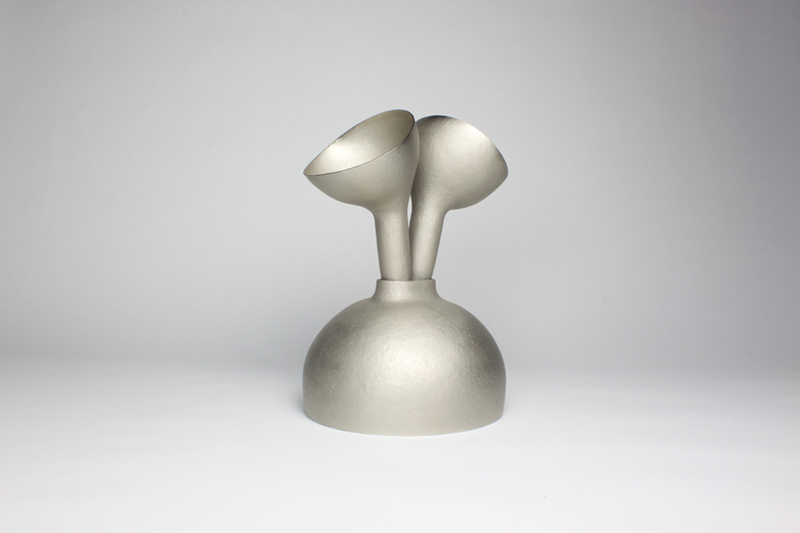 Cóilín Ó Dubhghaill's research interests focus on the intersection between traditional craft processes and new technologies with particular focus on alloy and patination techniques. Through his work, he explores the use of material science to improve understanding of tacit skills and craft materials, the appropriation of industrial technologies for craft production and the development of new ways of using traditional craft processes and materials in the production of studio work. 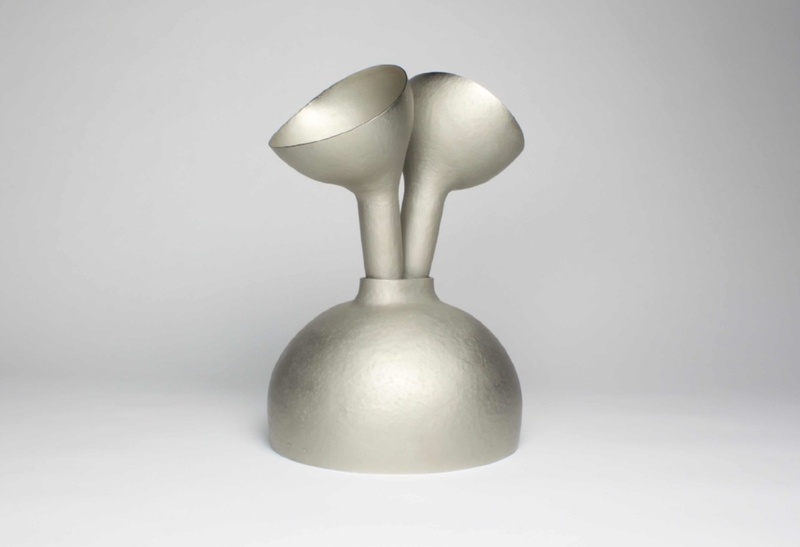 In his recent work, the intriguing multi-spout form of the tulipiere vase is the starting point for an investigation of form and the relationship between object and value. Tulipieres, which originated during the Dutch Tulip Mania of the 17th century, celebrated exotic flowers during a period that parallels more recent economic bubbles. Through this series of work, Cóilín O’Dubhghaill disposes with notional function and reinterprets the form in forged sheet metal. Cóilín Ó Dubhghaill is a silversmith based in Sheffield, England. He exhibits his work internationally and has pieces in a number of collections including the National Museum of Ireland; Goldsmiths’ Collection, London and the Marzee collection, Netherlands.